Do you find empty biscuit tins on your secondhand adventures? 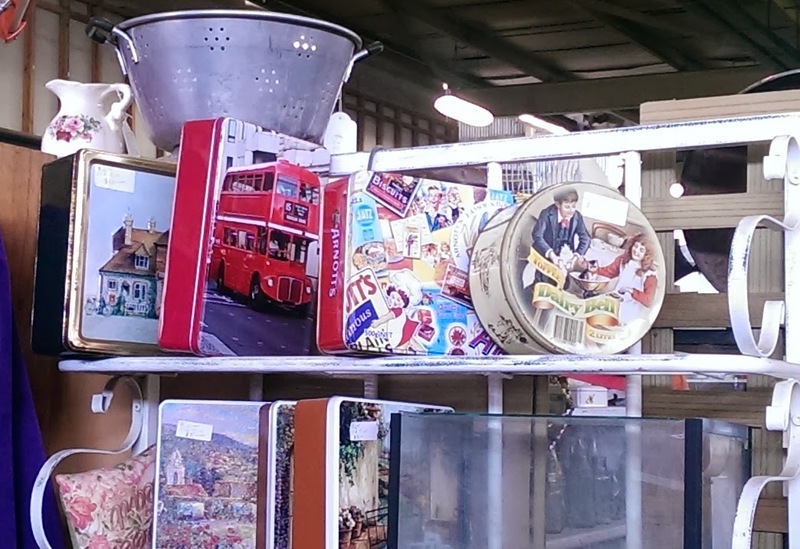 Tins with decorative features such as florals, birds, kitsch designs, scenic and city landscapes? Some vintage tins make great storage containers just as they are, others may have endured a little rust over time but still have the potential to be reused and remade into something else. British based Silversmith Kate Hamilton-Hunter sees the potential in old biscuit, sweet and toffee tins, as she works their colour, pattern and decorative design into her line of contemporary jewellery. 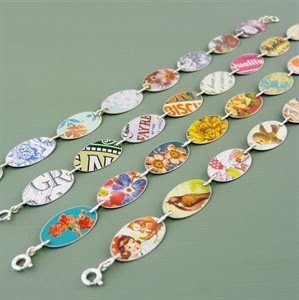 Kate's upcycled tin jewellery collections are made with a combination of recycled tins, sterling and recycled silver, recycled aluminum and Swarovski crystals. From vintage designs to modern cut pieces, Kate's necklaces, cufflinks, brooches, earrings, rings and more appeal to a wide audience. Her collections are sold in over 480 stockists around the UK, and a small selection of shops overseas. Kate's Woodland Trust Jewellery Collection gives 10% of the RRP to The Woodland Trust, a charity Kate has chosen to support as she is passionate about preserving the Britain's woodland for future generations. Would you like to win a £20 voucher to spend at Kate Hunter-Hamilton's online Studio? 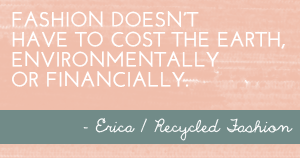 Kate is generously giving away a voucher to one Recycled Fashion reader. 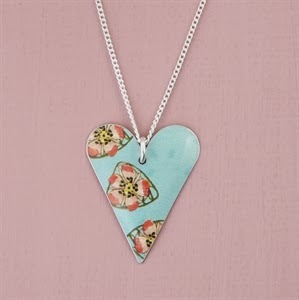 Enter the Kate Hamilton-Hunter Studio Biscuit Tin Jewellery GIVEAWAY via Raffecopter below and one of her beautiful designs could be yours. 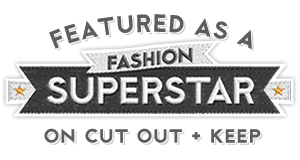 Disclaimer: this blog post is not sponsored, Kate Hamilton-Hunter has no clue who I am, I just happen to think her work is beautiful and wanted to share that with Recycled Fashion readers! UPDATE This contest has closed, and the winner contacted. Thank you to all that entered. 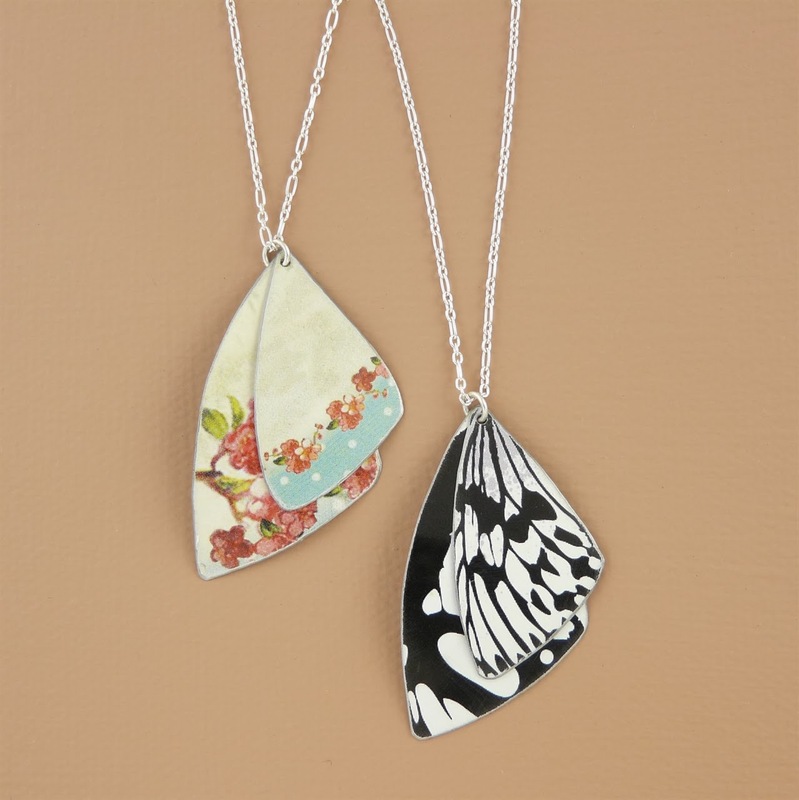 The black and white butterfly wings pendant is just gorgeous! That heart necklace is just wonderful! They're all so beautiful! What a fantastic idea! How wonderful to be able to envision a piece of jewellery when looking at a biscuit tin! The butterfly wings are so beautiful and clever! the butterfly wings are beautiful and so clever! I looove all of them! I think the bracelet is my favorite :) Beautiful! I think the bracelets are gorgeous! I love the butterfly wings - just gorgeous! It has to be the Butterfly Wings Necklace - caught my eye straight away. All her jewellery is creatively beautiful. I especially love the butterfly wings necklaces. What a great idea to recycle biscuit tins! Love the hearts especially with valentines day looming! The black & white butterfly necklace is amazingly beautiful! I love the black & white butterfly necklace, it is beautiful!